Kentucky fans left more than 800 voicemails for referee John Higgins after the team’s Elite Eight loss to North Carolina, seven of which have been flagged by law enforcement as threats. 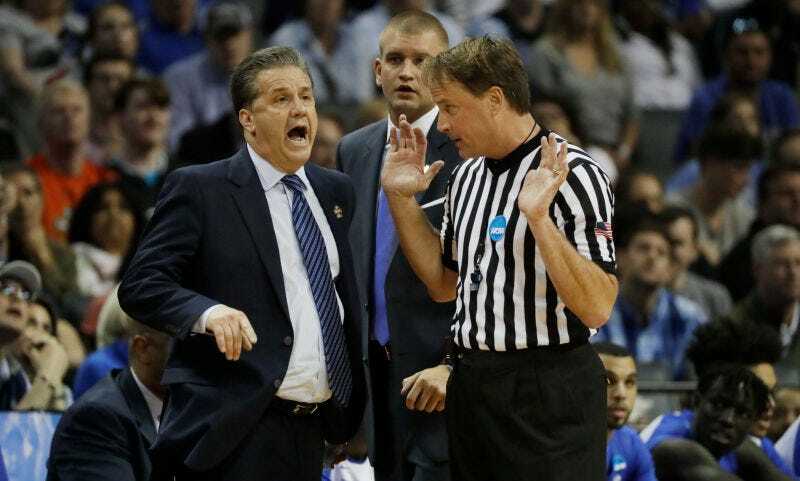 The messages were reviewed by police in Higgins’s home of Omaha, and those containing threats have been sent to relevant officials in the individual home districts of those who sent them, according to CBS affiliate WKYT of Lexington, Ky.
After Kentucky’s loss back in March, head coach John Calipari criticized the game’s officiating. Fans then flooded Higgins with calls and emails, additionally writing a slew of negative online reviews for his roofing business until he was forced to take down its Facebook page.